I was strangely ill last month with the worst cold that I can remember having in years. It persisted for weeks. Given my history with breast cancer I was very concerned. I kept thinking it would go away and thought it was just about over when I got a sore throat. That made no sense because a sore throat for me is usually the sign of a beginning of a cold and not the end of one. I was doubling up on my immune vitamins including my cure for everything, EPF. When nothing seemed to make a difference I decided to email Mike Carey and ask for his guidance.Mike quickly informed me that I had radiation poisoning from the atmosphere and that I needed to do my bentonite baths. I was shocked because the same thing happened to me last year except I wasn’t feeling sick just abnormally tired. Thankfully, I knew enough to keep some bentonite liquid* on hand so I had some readily available to do a bath that night. I definitely felt better after the bath but thought maybe I would need to do a second one so I contacted Mike and he confirmed. I did the second bath and similar to last year’s experience I didn’t feel so great. I emailed Mike and he said I was clear of the radiation. Knowing that I had a similar experience last year I kept the faith. Sure enough within a few days I felt like my old vivacious self again. Ahh! Last year when Mike told me I had radiation poisoning I did not hesitate to take the baths. I just wanted to feel better and the bentonite liquid is not expensive. Coincidentally I had a nutrition appointment that same week and the diagnosis was confirmed! Much to the shock of my nutritionist – Gamma Radiation came up as the number one toxin in my body. I also found that for the first time I had no signs of parasites, fungus or viruses in my body as I was taking the EPF drops regularly. That is when I decided that I should always take a few drops of the EPF daily. Seems that it really does help with pathogens. Seeing the results from my BodyScan also gave me confirmation that Mike Carey really does have the ability to read cellular memory. It is easy to assume that someone who can make a diagnosis via email or telephone is a quack. If he is a quack then I thank God for him everyday as he has helped me in so many ways. I now understand my body a lot better than I ever had. I have some sense of how I developed breast cancer and I have renewed confidence that I can keep myself healthy into the future. *The easiest and cheapest way to get the bentonite liquid:Visit Vitacost (use the link for $10 off your first order of $30 or more). Look for Yerba Prima Great Plains Bentonite Detox. I find this to be the most effective. I tried the Vitacost brand last time and it seemed inferior. 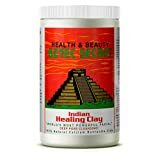 Update: It is now recommended to use the Bentonite Clay powder – 2 cups in a bath up to your chin and soak for 30 minutes. It is easier to get and in many cases, cheaper. There are roughly 330 million people in the US. A very conservative estimate is that 15% (nearly 50 million) of them are suffering from radiation poisoning and don´t know it. They run to the doctor, because of the flu-like symptoms or persistent cough, and are given antibiotics, which do nothing as the symptoms continue. Because the radiation usually attacks the thyroid and/or the lungs and bronchials, they will start to feel tired and run down while their bodies are developing cancer. Where are the warnings? A couple hundred people get measles and it is all over the news. Fifty million are very ill and there is total silence. This is a tragedy that makes Ebola look miniscule, and yet nothing is said about it. Is it because the government agencies don´t care, or maybe they just don´t want to panic people. Maybe it is a cover-up because cancer is such a big money maker, I don´t know. A year ago, 25% of those that I tested had radiation poisoning. Today, that number has increased to roughly 50%. Fortunately, I have a number of ways to get rid of the radiation quickly, and also some ways to prevent the body from absorbing it. Some of my clients have had it numerous times over the past 12 months. Where is it coming from? Most is coming from the melt-down that occurred at the nuclear power facilities in Fukushima, Japan about 4 years ago. Since that time, they have been dumping 300,000 gallons of highly radiated water into the Pacific Ocean every day. The currents have carried it to the West Coast of the US, where it has traveled from Mexico to Alaska, killing most sea life in its wake. From the Pacific, it is picked up in the air and dropped all over the US and Canada in the form of rain and snow. This creates HOT SPOTS and if you go into one of those areas, you get radiated. Most of those hot spots are from a particular form of radiation called Iodine 131 and have a half life of 8 days. What that means is that in 8 days, it dissipates and is no longer there. However, it does not dissipate from your body, you have to remove it. The other form of radiation is Cesium 137, which has a half life of 30,000 years. Fortunately, I have not found anyone with this type of radiation poisoning yet, but there may be some. This disaster is estimated to be 10 times worse than Chernobyl, and yet the silence is deafening. so what exactly is the easy treatment for this radiation poisoning? In 2011, an earthquake and tsunami triggered nuclear crisis in Japan sparked worldwide concerns about the danger of nuclear radiation in global communities. But do you know that even without this accident, you and I are also constantly exposed to background radiation in our environment? Cosmic and solar rays as well as radiation released from buildings, rocks, soil and spring water are some examples. These radiations are usually very low and are definitely no cause for alarm. However, there are also other sources of radiation that may expose you to higher than normal levels of radiation, sometimes without you realizing. Doctors in Hawaii and the West Coast of North American are being bombarded with questions about how to protect ourselves from radiation from Fukushima … especially since it is difficult to assess the amount of radiation we will be exposed to, and exposure may continue for some time.